2Travel Hack: How to travel in 1st class style, for the cost of economy! 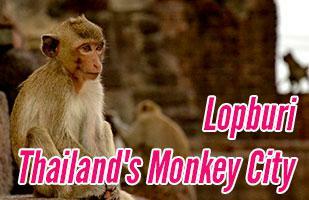 When going abroad you are often faced with the issue of finding accomodation. 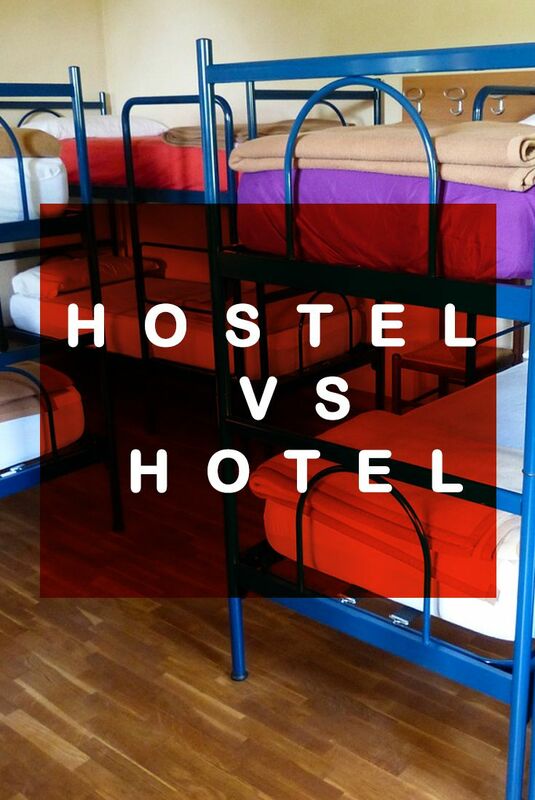 One of the most popular questions is Hostels vs Hotels. Do you want luxury, comfort, and peace and quiet (then hotel!). 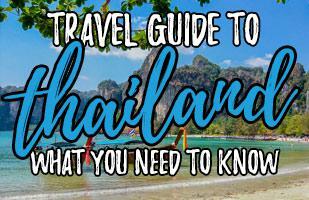 Or do you want cheap prices, socialable places that might be a bit busy (hostels!). Of course that is over simplying the question of hostels vs hotels. 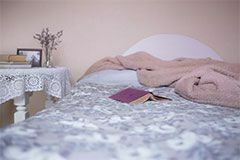 There are actually four or five main options when it comes to deciding on accommodation in most cities. 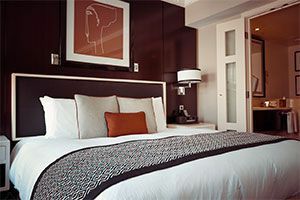 Hotels - the classic accomodation option, they range from cheap and cheerful 1 star dumps to 5 star buildings of luxury. and of course staying a friends house. But I'm ignoring this and focusing more on the airbnb vs hostels vs hotels vs couchsurfing options. Of course renting an apartment isn't limited to just Airbnb, but since Airbnb has taken off it seems anyone who rents an apartment for a trip does it via Airbnb. Also, a fifth option exists which is staying with friends, but unless your friends are spread all over the globe this isn't a realistic option most times! 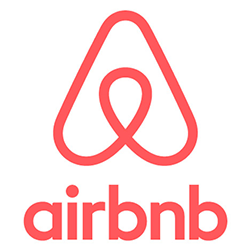 Airbnb is a new company (founded in 2008) and seems to have completely taken over the whole renting apartment market. Whenever I rent an apartment, I will check only Airbnb (and I know of many other people who do the same). Rent a whole apartment - you have the whole apartment to yourself. Rent a room - you get your own private room (you will often share the bathroom). In most cases the other people in the apartment/building will be the owners of the house. They just rent out a spare room from time to time. You can see photos of the exact apartment (/room) you will be staying in. In a hotel you might be in the smallest rooms in the building, with no view, and lots of street noise. The hosts are often friendly and there to help and advise you. I have had a host sit down for almost 30 minutes with a tourist map to explain what I could do in the city. You can get a real kitchen to do real cooking. This can save a lot of money if you cook in a kitchen as opposed to eating in restaurants for every meal. 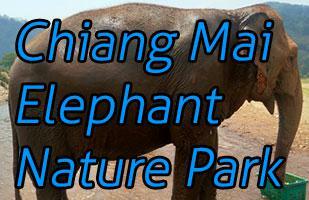 It is often cheaper than booking hotel rooms, especially if you are a bigger group. There are some scammers on Airbnb (I've never encountered anyone personally who has been scammed, but have read about stories on the internet). The photos might make the apartment look much better than it really is. See this Quora post for an example. I have been surprised by the size of apartments a few times - both because in real life it was much bigger and better than the photos made it seem, and unfortunately a few times where it was much smaller and not as nice as the photos made it look. Want more disadvantages? Check out this site. 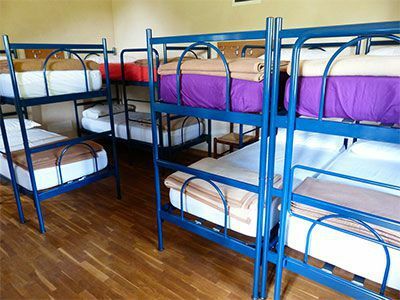 If you have never stayed in a hostel then you are probably imagining a run down, awful, smelly place full of people in bunk beds. Some are like that (5% maybe!). 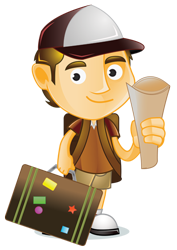 But as long as you check reviews you can avoid the worse hostels. Hostels are great for meeting people. I would pick staying in a hostel rather than a hotel any day! People are in hostels to socalise (and save a bit of money!). Lots of hostels have bars, common rooms, they organise day trips, pub crawls etc. Some of the hostels (I would say the top 15% - and it is easy to check reviews on sites like Hostel World, and any decent hostel will have lots and lots of reviews) will be as high quality as a great hotel (just with dorm rooms instead of private rooms). Also a lot of hostels have private rooms (from 1 - 4 beds) with an ensuite bathroom. 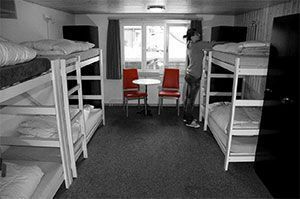 So you can get all the advantages and social aspects of a hostel without sharing a room with strangers. It is super sociable - you will always meet friendly people. This is a huge advantage if you are travelling solo, but even if you are going as a group it can be fun to meet other people to hang out with. 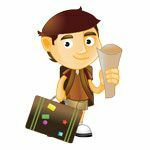 They often organise day trips/activities - and they are often activities you would not be able to organise from a hotel. A lot of hostels (and all hostels that call themselves 'party hostels') will run a pub crawl at least a few times a night (often every night). They will take you to what they believe (or what pub/club pays them the most...) the best bars and clubs in the city. Even if the pub crawl route isn't the best (some can be really bad!) they are always fun because you are drinking with a group of like minded people. The staff are very knowledgable of the city - much more than an Airbnb host or a regular hotel receptionist. They deal with questions every day from young travellers, and will often be more than happy to sit down with you to help you plan your time in the city. They are often full of a younger crowd that likes drinking - this may be an advantage or a disadvantage, depending on what you are looking for. If you avoid the party hostels though, this isn't such a big problem. Everyone knows what hotels are, and how they work. You pay a high price, get a private room. 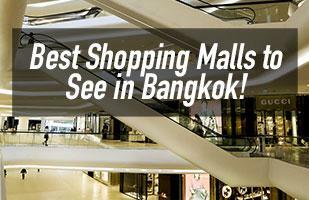 Hotels range from cheap 1 star places (you will probably have a nicer time in a hostel!) to luxurious 5 star hotels. If you are staying in an expensive hotel then nothing can beat a concierge who knows the city. They often have other facilities, such as swimming pools or gyms. Cost - it can be cheaper in a hostel or even an Airbnb apartment. It might look great in the photos, but you might get the tiniest room with no view - at least with Airbnb you know exactly where you are going to be! Couchsurfing stay with strangers. Can be really sociable and a fun experience, but it could be awful too! Couchsurfing is going to be the hardest one to explain to your friends (and even more difficult to explain to your parents, if you are younger). You are a 'surfer' (you want to sleep at other peoples houses). So you go on Couchsurfing.com's website and search for the city you are going to visit. Then you contact 'hosts', asking to stay at their house. Eventually, a 'host' might accept you for the dates you requested. Then you arrange with them to turn up (or maybe they will meet you at a train station etc). They will show you where you will sleep (it can range from the floor, a sofa/couch (hence the name), to a spare bedroom). Some hosts will give their guests (the 'surfers') keys and let them do their own thing. Some hosts will hang out and show their guests the city. It really depends on the person. There are no firm rules. Throughout all of this, no money is exchanged. 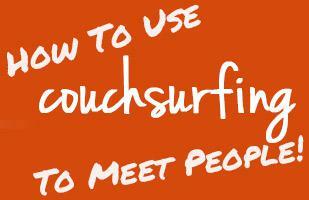 Also see our guide on how to meet people on Couchsurfing! It is free - but this shouldn't be your main reason for using Couchsurfing! You get to meet a local in the city - they will often (but not always!) show you around the city, you will see how locals really live. It can be really fun and you might make a friend for life. But you could also say bye at the end of your stay and never speak to them again! There is no guarantee of safety or security - you could be in a house with 10 other people, they could have a wild party while you are there, all your posessions could be stolen. Although I have to be honest, the worst I have ever encountered when meeting people through Couchsurfing (or swapping stories about people's worst CS experiences) was mostly smelly guests or bad hygiene issues. But, always be safe and cautious when using Couchsurfing. So, which is best? Hotels vs Hostels, Airbnb, Couchsurfing? 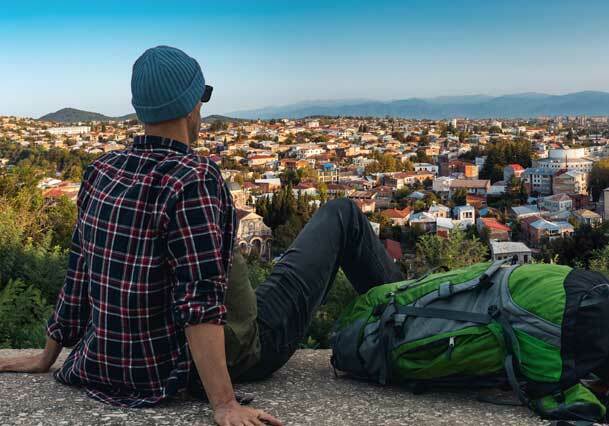 Of course it really depends on many things, including what the city you are visiting is like in terms of hotel/hostel selection, on how much you have to spend (or want to spend), if you want to meet people (in hostels it is easy) etc. If you want to sleep at a strangers house (maybe get involved in their life and live like a local): Couchsurfing. Let me know what you think in the comments below...! 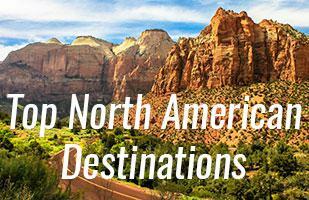 The time you spend abroad on trips can be some of the best days of your life. However it can also go very bad, very quickly. 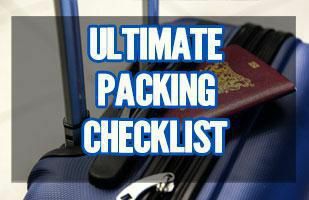 There are many aspects to staying safe when abroad, but by being aware of them and thinking about them when you are on your trips you can try and avoid most problems. 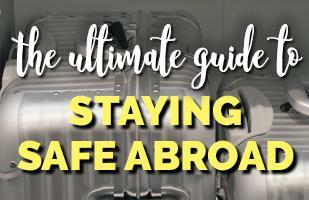 Here is a guide that covers everything you need to be aware of, to stay safe when abroad! 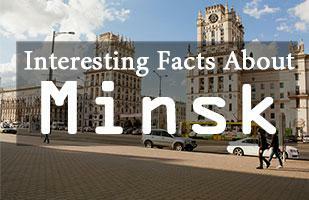 Minsk is a bit of a mystery to a lot of people. Some might struggle to place it on a map. 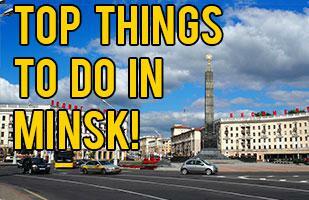 But here are some interesting facts that you probably didn't know about this great city. 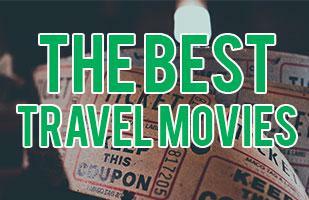 Top Travel Movies - 29 Movie Recommendations from the top travel bloggers!